They belong in a museum. And the South Florida Museum is anxious to accept artifacts unearthed at Perico Island’s One Particular Harbour Marina. Prehistoric items — including pottery sherds, stone and shell tools, food and plant remains, post molds from refuse pits and human remains — were found by SEARCH Inc. The archaeological consultant and contractor was hired by the developer to remove the items from the marina basin by hand in 2016-17, according to Brian Cale, vice president of land development for Minto Communities-USA. The Canadian-based developer purchased the property in October 2009. North of Neal Preserve and part of Minto’s 220-acre Harbour Isle, the marina is in its final stages of construction, with dry storage operations to start in July. SEARCH, an international firm, led by senior investigator and adviser Robert J. Austin in St. Petersburg, spent May-July 2016 and September-November 2017 excavating for Minto and is now preparing a report, “still many months out,” Cale wrote in a June 13 email to The Islander. The final report will be sent to the Army Corps of Engineers, Manatee County Parks and Natural Resources, the Florida Division of Historical Resources and the Seminole and Miccosukee tribes, he said. “All of the artifacts will be transferred to the South Florida Museum and Bishop Planetarium in Bradenton for permanent storage,” Cale wrote. The Perico Island “archaeological complex” includes what is now the Neal Preserve and Minto property and “reflects prehistoric occupations from as early as 1,200 BCE to at least 1,000 CE,” according to Bill Burger in a 2010 Cultural Resources Assessment Survey for the county-owned preserve, which opened in 2014. Historical maps since the 1930s show shell middens, shell ridges and burial grounds on the site. 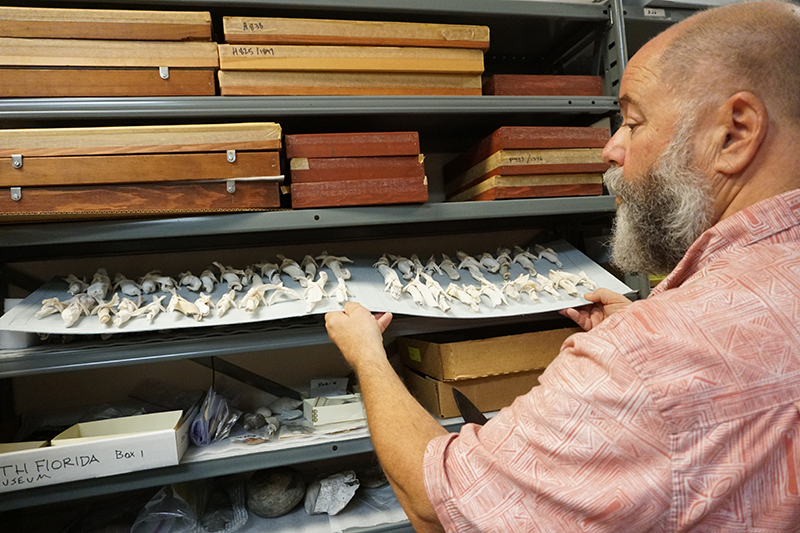 Matt Woodside, South Florida Museum’s chief curator, said the Corps vetted the museum in June 2016 as a repository for the Perico artifacts. Then Minto’s representative contacted the museum about making a donation from the Perico Island digs. “Because of the volume expected,” he let Minto know the museum required a curator’s agreement with a payment based on cubic feet of the materials to cover staff time to catalog and institutionalize the collection. Hearing of Cale’s intentions to transfer the artifacts to the museum, Woodside said June 18: “South Florida Museum would be happy to do that,” but added, the agreement must come first. 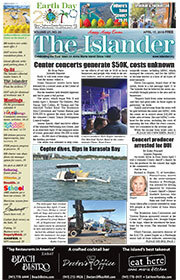 The developer expects to complete the agreement “in the very near future,” Cale wrote in a June 22 email. The likelihood of the developer finding human remains on the known archaeological site led to an agreement between government agencies and tribes to repatriate the remains to the Neal Preserve. That agreement, Woodside said, “may have left room” for the reburial of 2016-17 discovered prehistoric human remains. Approvals to relocate the artifacts and burial remains were obtained from Manatee County, the Corps, Florida Division of Historical Resources and the American Indian tribes, according to Cale.